April 19, 2016	/ 6:30 P.M. - 8:30 P.M. 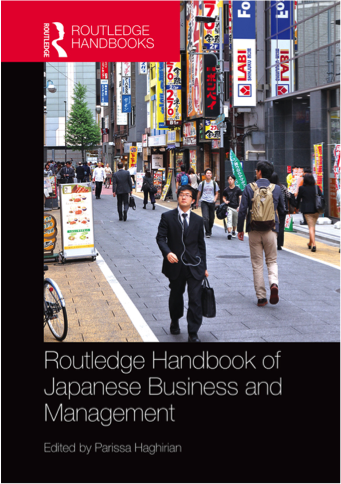 The Routledge Handbook of Japanese Business and Management provides a comprehensive overview of management and business processes and practices in Japanese companies. The contributors combine theoretical findings and research results with a practical and contemporary view on how corporations and firms are managed in Japan. the future of Japanese management. This book is an essential reference resource for students and scholars working on Japanese companies, the Japanese market-place, Japanese consumers, or management processes in the Japanese firm. The book also provides an interesting and informative read for managers who need to deepen their knowledge on Japanese business processes.